Home / AMAs / Entertainment News / MC Hammer / Music News / PSY / Video / So How Exactly Did Psy End Up on Stage with MC Hammer? 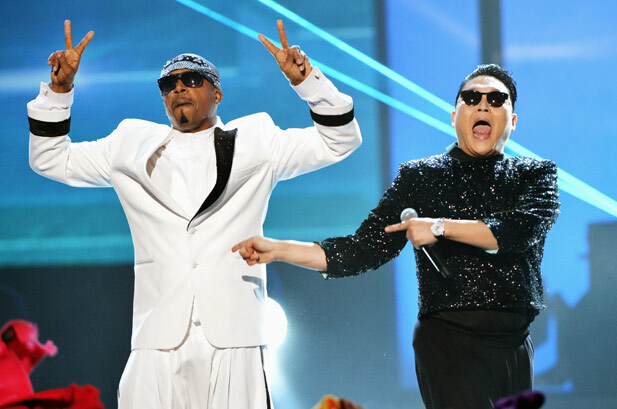 So How Exactly Did Psy End Up on Stage with MC Hammer? I missed the performance last night, so when I saw it this morning. 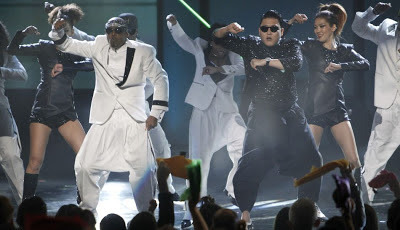 I thought "now seriously.. PSY came out in Hammer pants! The jig is up!" The "Gangnam Style" artist performed his smash hit at the AMAs and had the whole audience on their feet doing his trademark dance. The lights then suddenly dimmed and MC Hammer appeared on stage. The video is 10x funnier than the mental picture. Even though MC Hammer's "Too Legit" single dropped over 20 years ago, he proved he hasn't lost his touch on the stage! Psy, who even persuaded Hammer into pulling out his trademark pants once again, didn't have any worries about hitting the old-school routine. “Honestly, I practiced his move[s] 20 years ago," Psy said. "So I’ve done that for 20 years."